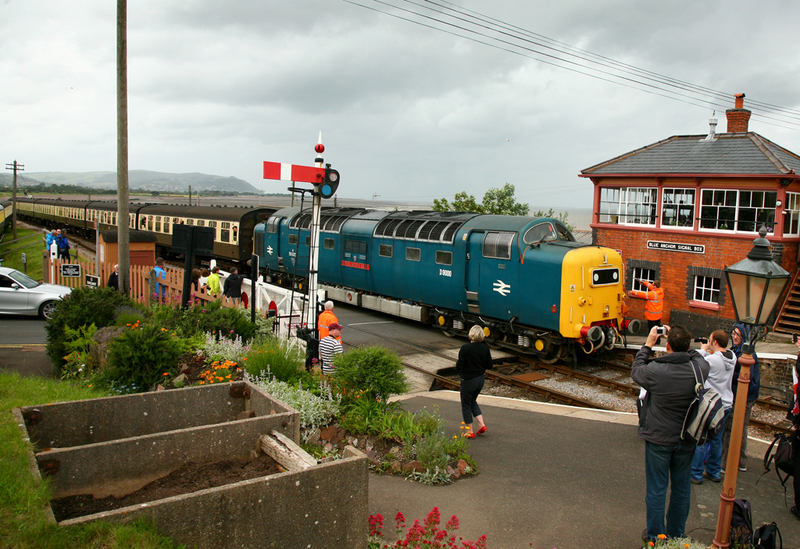 The 15th, 16th & 17th of June saw the Somerset countryside reverberating to the sounds of Sulzer, Napier and Hydraulic engines operating at the annual WSR Mixed Traffic Gala. 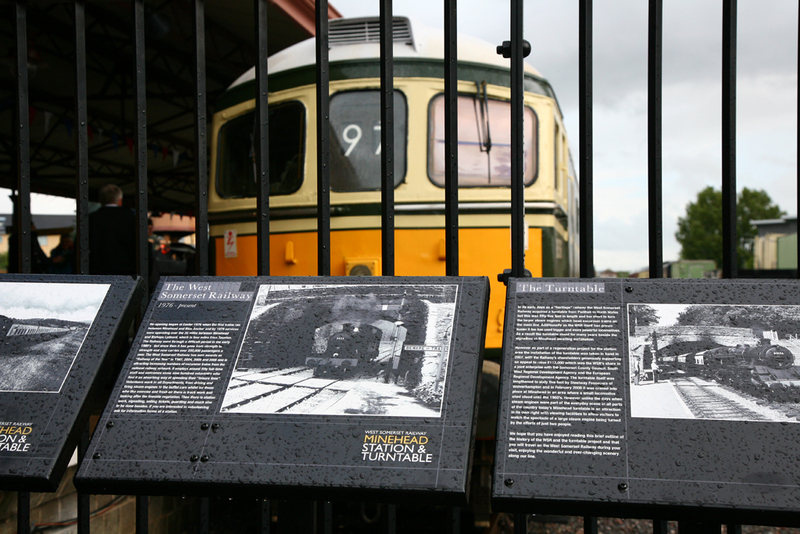 The 2012 event was again blighted by poor weather, with only the Sunday producing any reasonable periods of sunlight to help enhance the event, however this didn't put enthusiasts off attending the railway gala or traveling on the line. 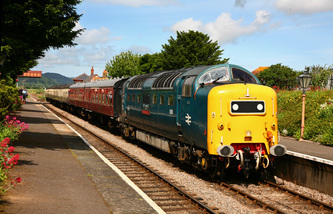 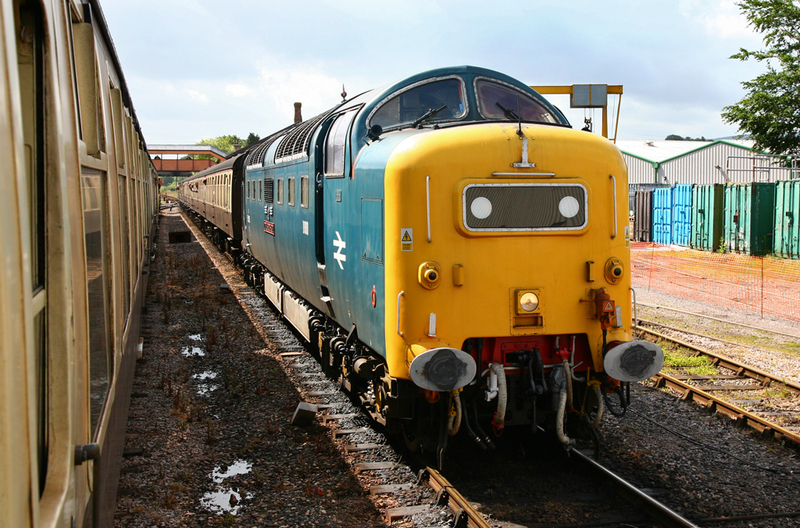 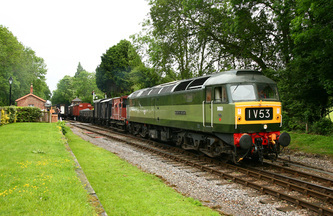 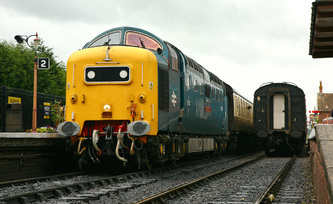 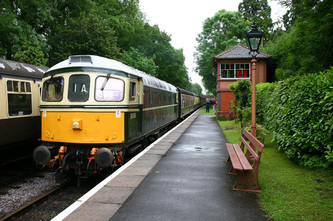 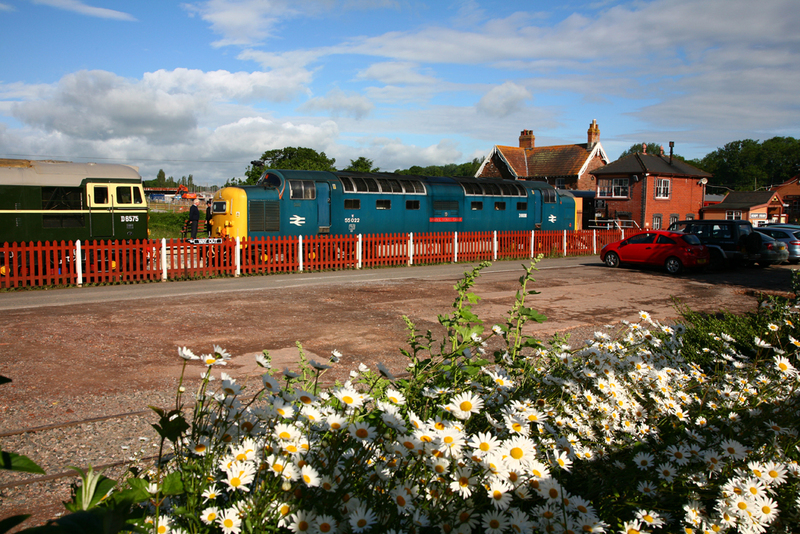 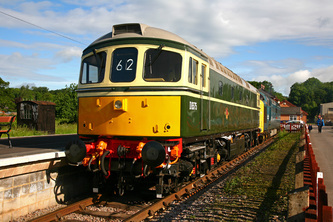 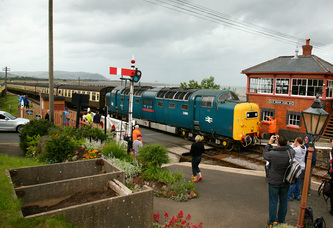 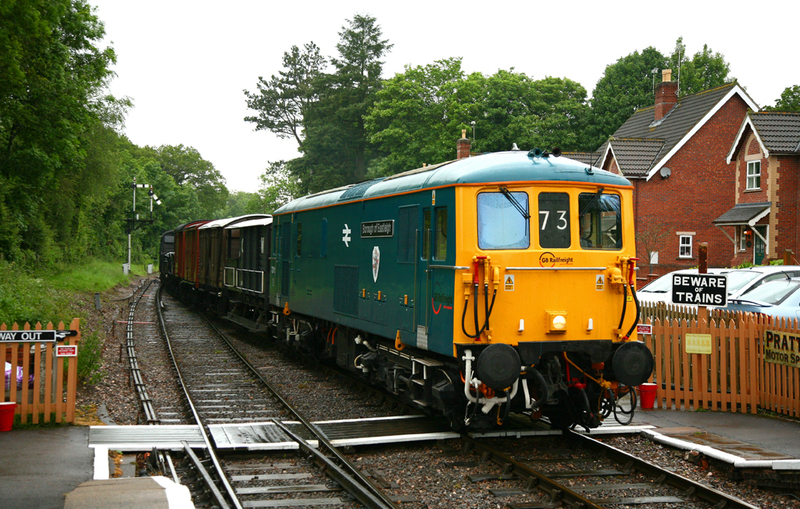 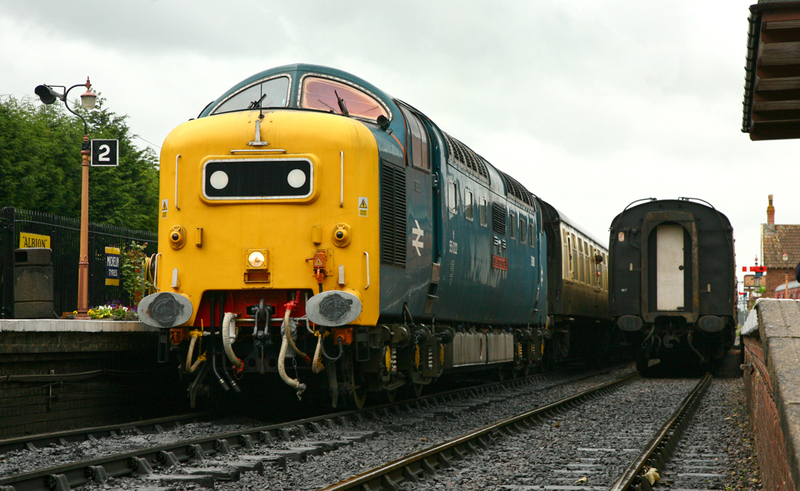 The event featured three days of heritage and modern diesel haulage over the twenty mile branch to Minehead. 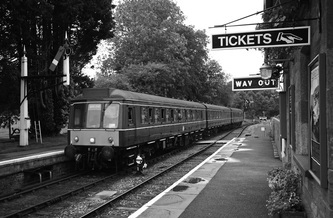 Brake Van rides were also available at Bishops Lydeard to Norton Fitzwarren along with a special pre booked option to travel over the entire length of the line in a brake van. 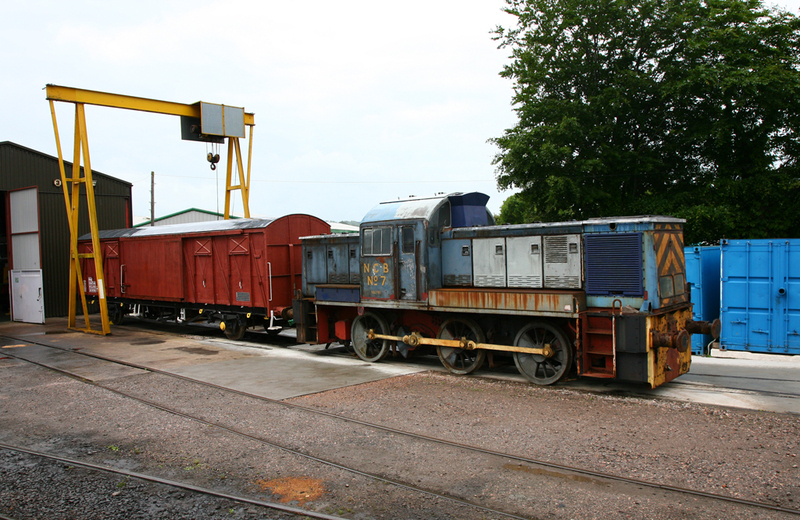 'Driver for a Fiver' was also in operation at Minehead using one of the former Bridgwater ROF shunters and the rare Williton Depot Sentinel No.DH16. 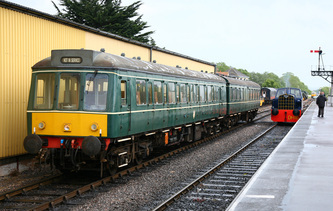 First Great Western also provided a Class 150 shuttle line to Taunton mainline station on Saturday and Sunday giving travel connections to mainline services. 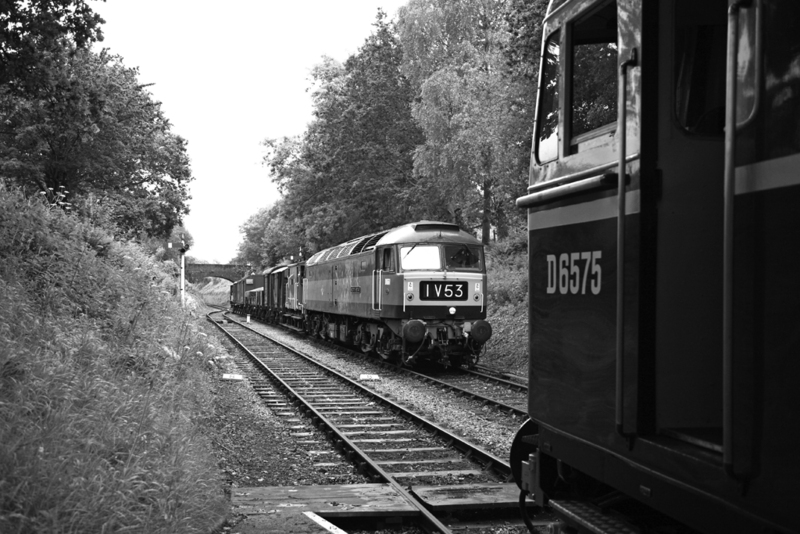 Friday 15th was the only day of the event not to see a steam train in service on the line, Saturday and Sunday saw home fleet and visiting diesels sharing the tracks with differing steam locomotives. 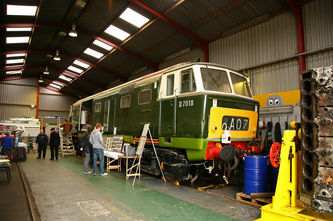 Williton Depot flung open its doors to the public to show the ongoing work on Class 35 Hymek No.D7018 which will hopefully return to WSR metals in 2013, after nearly twenty years out of service. 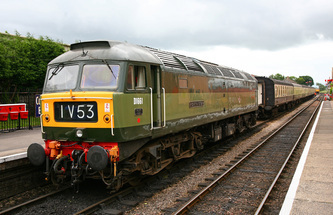 Sadly there were two locomotive failures during the event, D1010 ‘Western Campaigner' had recurring issues with its transmission, after only one day in service it was sidelined at Williton Depot. 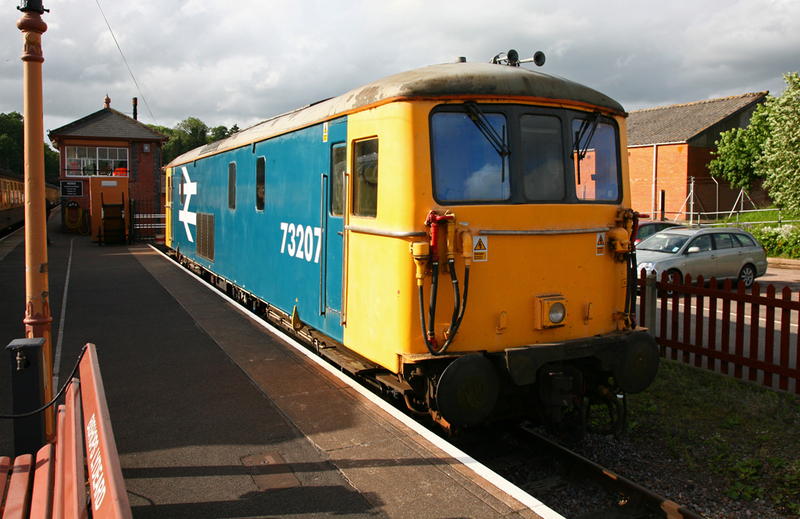 D7017 was removed from its booked diagrams on Sunday with an unknown fault. There was also a brake fault at Bishops Lydeard on Sunday afternoon which resulted in the 15:45 departure to Minehead leaving 20 minutes late. 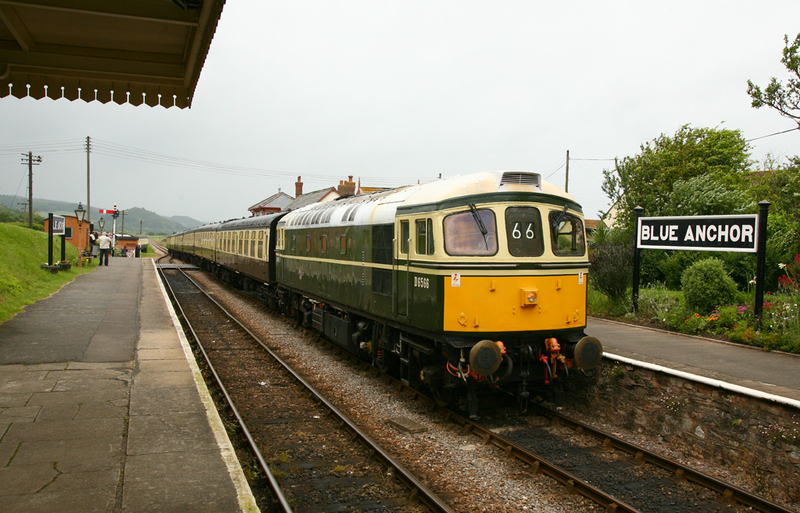 Minimal delays occurred because of the failures, but this was probably due to the masses of time allowed between stations using the WSR clockface timetable, which for a gala using faster and more powerful locomotives is exceptionally slow and ponderous. GBRf were unable to supply a Class 66 for the Mixed Traffic Weekend due to their mainline work commitments, however they did manage to produce two Class 73's. 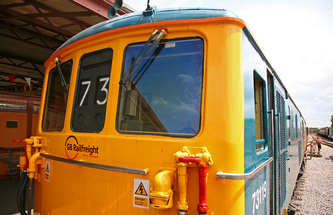 73119 ‘Borough of Eastleigh' had recently been returned to mainline with GBRf, and retains its BR Blue livery with subtle GBRf Europorte branding, while 73207 in BR Large Logo was former Gatwick Express loco, and more recently the Whitemoor Yard shunter. 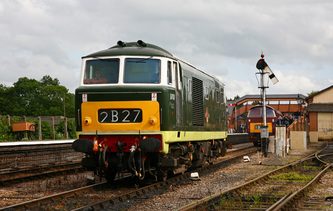 These 600 horsepower locos only featured on the Saturday evening and Sunday of the event, with only 73119 working brake van specials to and from Norton Fitzwarren, while 73207 was on static display at Bishops Lydeard. 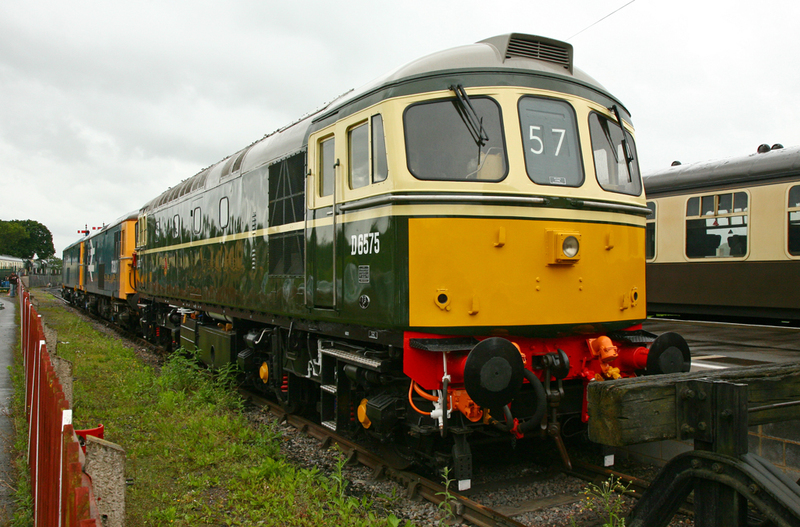 The DEPG's latest overhaul project Class 33 No.D6575 (33057) also looked superb and now outshines sister locomotive No.D6566 (33048).